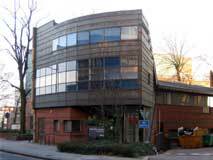 The principal depository for records relating to the West Middlesex area is the London Metropolitan Archives and this should be a first port of call if the location of the records you are seeking is not known. However there are several local archives, administered by the present corresponding local authorities. Details of all these are noted on this page. It is strongly recommended that you contact the archivist to discuss your requirements and confirm access information, opening hours, etc., before leaving home. Covers: City of London parish records, probate records, etc.